Immortal perfume is the absolute love blend offered in my shop. While each of my love perfumes was designed with a particular intention surrounding the matters of the heart and soul, this one just goes so deep. It’s rich, sensual, and so pure you’ll fall helplessly in love with the blend itself. 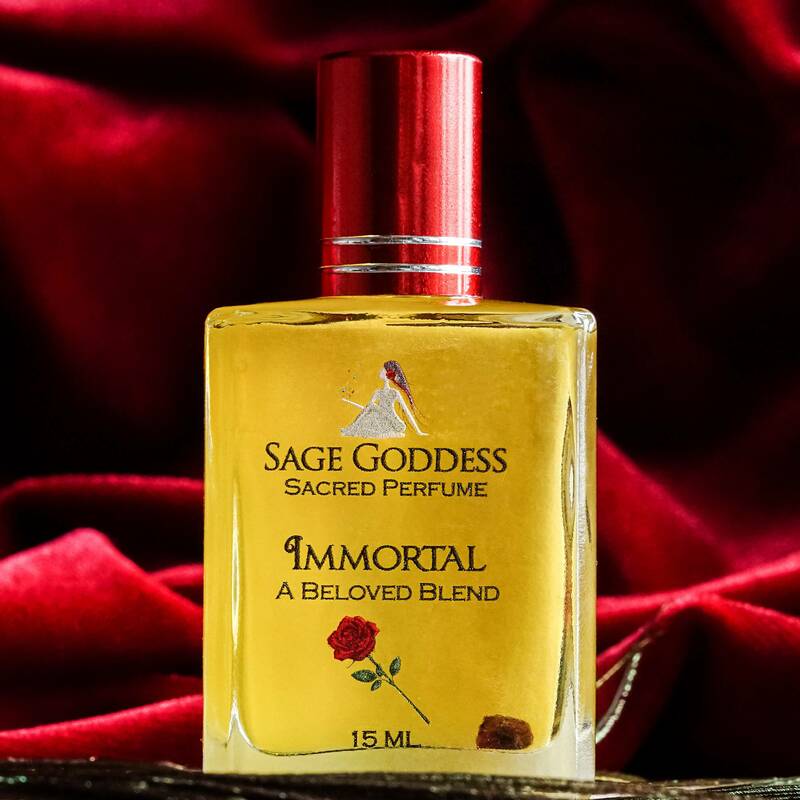 Immortal is made with pure red rose essential oil, which costs hundreds of dollars per ounce. It’s the real deal – a rose like you’ve never smelled before. The blend also includes pink grapefruit, ambrette seed, and Australian sandalwood. It’s an elegant, unforgettable scent, a universal favorite among my most loyal customers. Anoint with it in ritual, to open up the heart space in order to draw love and send love out. Use it to anoint candles and other tools, and wear it for your sexiest nights out with a lover, or to meet a new one.. This listing is for one (1) bottle of Immortal perfume. Yours will come lovingly parceled and ready to anoint. ***Note: This product is made with natural essential and carrier oils, and may contain fragrance oils. Cap color, chip stone, and color may vary slightly. This perfume smells amazing. If you looking for a good rose perfume this is it! !